People make mistakes every day, and doctors are not immune to this fact. What's more, some doctors are more conservative while others tend to be more aggressive. So their findings and recommendations can vary dramatically. For this reason, more and more patients are getting second opinions after a diagnosis. Whether your doctor recommends surgery, makes a cancer diagnosis or identifies a rare disease, there are many benefits to getting a second opinion. These benefits include everything from peace of mind and confirmation, to a new diagnosis or a different treatment plan. Even if your second opinion just confirms what you already know, it can still be beneficial. Afterwards, you will know that you have done everything you can to ensure that you have the correct diagnosis and a treatment plan that feels right to you. A second opinion also can offer insight into additional treatment options that the first doctor may not have mentioned. As a result, you become more informed about what is available to you and can make an educated decision about your healthcare and your treatment plan. 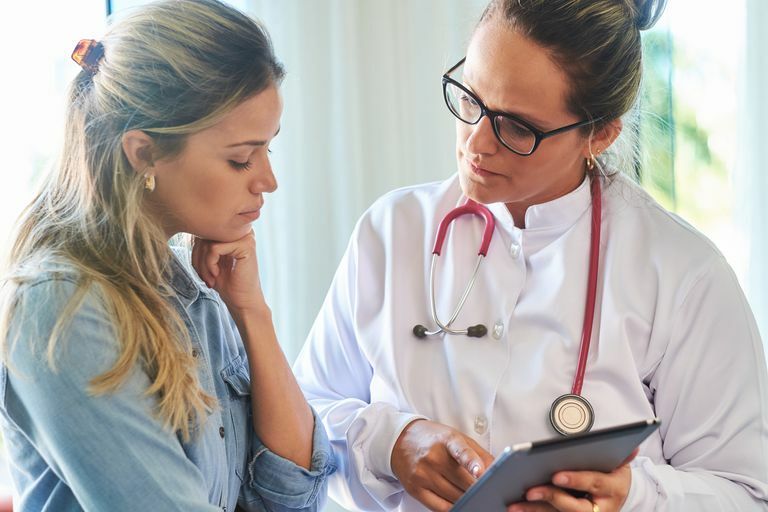 A study conducted by the Mayo Clinic found that as many as 88 percent of patients looking for a second opinion will leave the office with a new or refined diagnosis. Meanwhile, 21 percent of the people will leave with a “distinctly different” diagnosis. Conversely, the study, which was published in the Journal of Evaluation in Clinical Practice, discovered that 12 percent of patients will learn that the original diagnosis was correct. This means that one out of every five patients they saw was incorrectly diagnosed. During the study, researchers reviewed records of 286 patients referred from primary care physicians to Mayo Clinic’s General Internal Medicine Division in Rochester. The study took place from the beginning of 2009 to the end of 2010. The factors that motivated people to get second opinions included getting confirmation of the their diagnosis, being dissatisfied with a consultation, wanting more information, and dealing with persistent symptoms. Meanwhile, a controversial study conducted by researchers at Johns Hopkins Medicine say that medical errors should rank as the third leading cause of death in the United States, further supporting the need for second opinions. In their study, they estimated that more than 250,000 Americans die each year from medical errors, making errors the third leading cause of death behind heart disease and cancer. But they claim these errors are not accurately documented by the Centers for Disease Control. Get a second opinion if you have undergone treatment but your symptoms continue. No one knows your body better than you do. And if your symptoms are persistent even after treatment, it may be time to seek the advice of different doctors and specialists. Too often, people do not advocate for themselves. Instead, they assume that they will always have to live with the chronic pain or uncomfortable feelings. But remember, the only way you are going to get treatment that works is if you get the right diagnosis. So if you are not feeling better and your symptoms are not going away, do not settle for that. Reach out to other doctors for their opinions. Get a second opinion if you are diagnosed with a rare disease. Sometimes diseases are so rare that there is very little research behind them. When this happens, it can be frustrating and frightening to discover you have been diagnosed with something so rare. But you are not alone. Approximately 1 in 10 Americans is diagnosed with a rare disease. What's more, there are nearly 7,000 known rare disorders with more discovered each year according to the National Organization for Rare Disorders. Because there is so little information available regarding rare diseases and disorders, it is important to do your research, because the risk of misdiagnosis is significant. Look for doctors and specialists who have treated your disorder and get their opinion. You want to be sure you are getting the best treatment possible for your condition. Get a second opinion if the recommended treatment is risky, involves surgery, is invasive or has lifelong consequences. It is never wise to agree to surgery or another invasive procedure without exploring your options. Yet, some people feel that if a doctor suggests a procedure, they have to agree to it. But remember it is your body and your life. You absolutely have a say in what treatments you agree to. As a result, it may be wise to get a second opinion if your doctor is recommending something as serious as surgery. Being proactive and gathering more information will give you a greater degree of control over your treatment in the end. Get a second opinion if you are diagnosed with cancer. With something as serious as cancer, having the input from another expert simply makes sense. Not only can a cancer diagnosis be confusing and overwhelming, but it also is a life-changing event. Therefore, it is important to be as informed as possible about your prognosis and the possible treatment options available to you. Keep in mind that no one doctor is completely informed about the findings from every single study and clinical trial in the country. Doctors are only human. That's why you need to advocate for yourself. Getting additional opinions just improves the likelihood that you will walk away with the best treatment plan possible, What's more, some insurance providers require a second opinion when it comes to a cancer diagnosis. Get a second opinion if your gut reaction tells you something is off. By all means if you are not comfortable with the diagnosis or the recommended treatment, get a second opinion. You should never agree to a procedure or treatment plan when you don't feel good about it. Trust your gut and gather more information. Ask questions about your prescriptions. Talk to friends. Meet with a new doctor. And read about your condition. No one should ever feel like they have to follow the doctor's orders without asking questions and gathering more information. Very few healthcare decisions have to be made on the spot. So if something doesn't feel right, then by all means, research your situation and talk with another doctor. Remember, you are not being difficult nor are you in denial about your situation when you ask for a second opinion. You are being smart and empowered. You should always take an active part in your health care, and getting a second opinion is an important part of that process. What’s more, most doctors expect and encourage second opinions. So, be up front with your physician about your desire to gather more information. And if he doesn’t support you or gives you a difficult time, it might be time for a new doctor.